This is the second half of Aram gallery's Beautiful Objects exhibition. As the work was so diverse in style and materials I tried to separate them into categories to look at them a little closer. These are the artists I felt were led by their process and materials. If you went to this exhibition I would love to hear your thoughts. I hope it's the first of many jewellery themed events at Aram as it has been curated to show the depth of what goes into designed and made art objects which may be missed in a solely retail environment, so hopefully gives us the chance to appreciate them more. 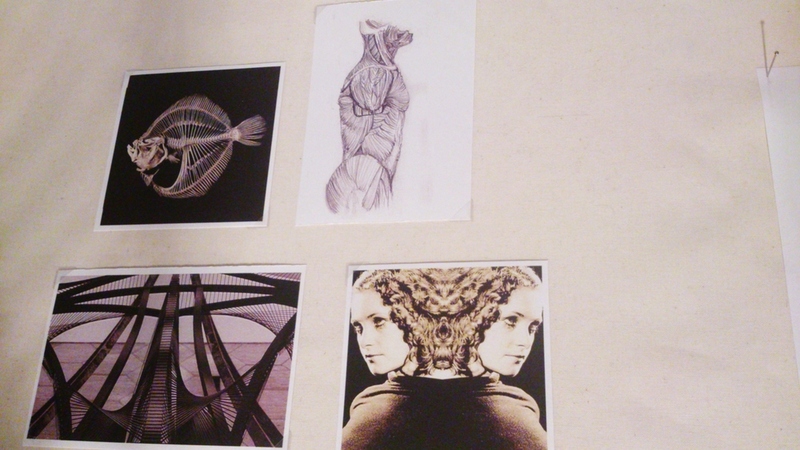 The pieces on the right by Karola Torkos are part of her "Changeable" series. Both the large statement object pieces and simplified metal versions in this collection look at layering and transparency, but the latter focusing on wearability and practicality. Her inspirational object was a children's book as she had previously dismantled and re-built these into jewellery. By reassembling an object and giving it a new purpose she is interacting with it and wants the wearer of her jewellery to do the same by having aspects of her pieces that can be personally altered by them, (different coloured swappable sections etc.) The fact that she uses children's books rather than adult literature is interesting because they often have to try harder to engage the young by having pop up sections, textures and moveable tabs and wheels. I don't think this is something we ever grow out of and this is a sophisticated way of letting us interact with our objects as a piece of jewellery. Silvia Weidenbach and Tobias Klein's collaboration also shares the responsibility of the finished piece. Working separately but "ping-ponging" ideas between them allows the ideas to be shared and develop over a set time frame. The name of the work is "Metamorphosis" relating to both this process and their subject matter. Their collections and grouping of information is shown in their inspirational objects which were the first 170 images found on a search engine when typing chrysalis and butterfly. 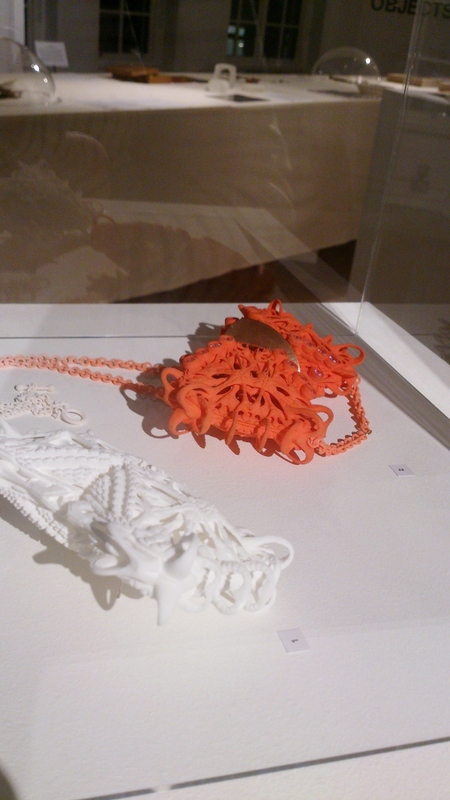 Their finished designs were actually two pieces that are worn together realised using 3D printing. David Roux-Fouillet is another designer who after starting the piece on it's journey, actually leaves the part of the fabrication to another. His "3D printer" in actual fact is the amazing Bombyx Mori silkmoth! 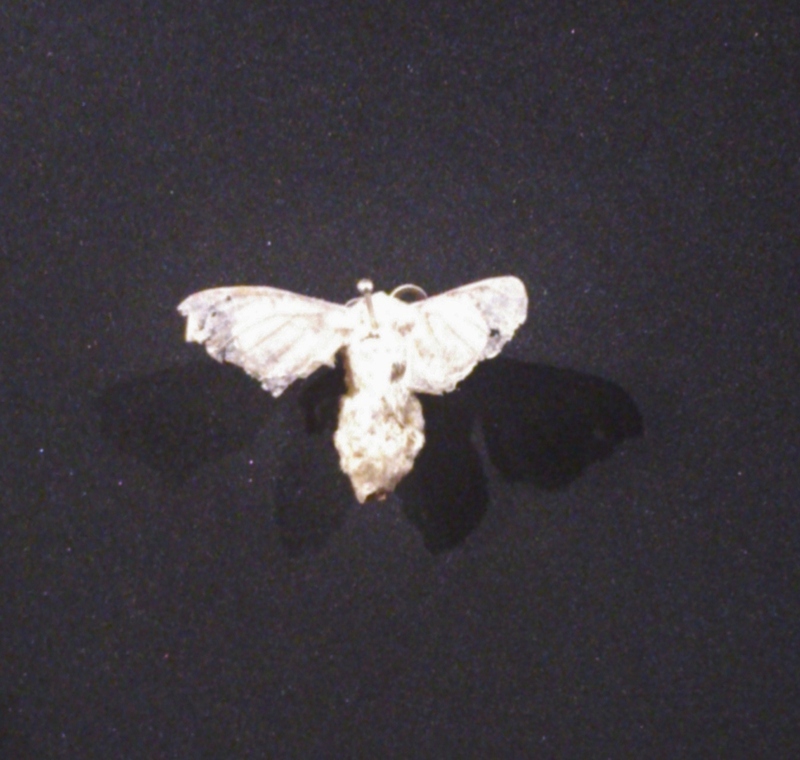 His own theme of metamorphosis also includes the living pupae housed in the piece of jewellery hatching and flying off. I love the way he describes how he works with the moths: "This piece is the result of my collaboration with five generations of worms building up layers of silk...Proposing a structure to the first three silkworms, they quickly find their way to the spots where they can build a conventional type of cocoon. Then the next ones will start weaving wherever they want while I try to direct them wherever I would like them to weave." It makes me think of a little team of moth larvae looking intently at David's designs in a miniature boardroom. He likens it to sculpting a Bonzai tree, "this fine balance where the material claims its independence is the space where I like working." This way of using the skills and materials of amazing creatures also reminds me of the beautiful cape I saw in the V&A made by combining the creative skills of Simon Peers and Nicholas Godley, a team of handloom weavers and the silk of thousands of Golden Orb Spiders. I will look out for more designer/nature's craftsmen collaborations in 2013, and possibly plan one of my own with the sand lizards in the garden (I hear they are good at mosaics). 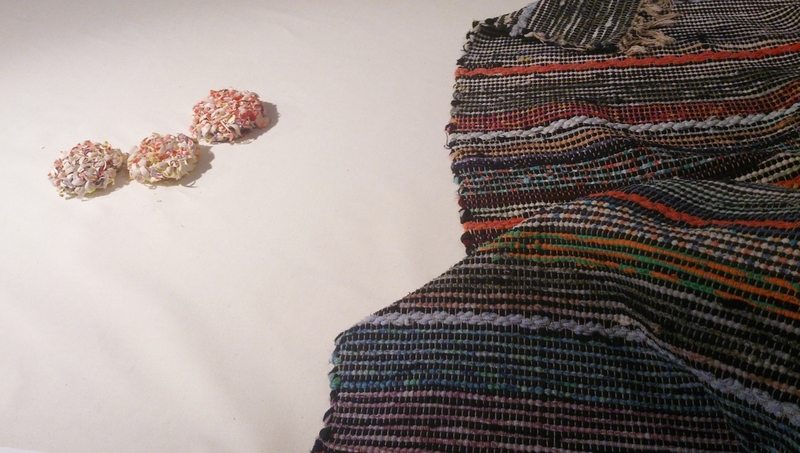 Woven textures were Lina Peterson's inspirational object represented in the Swedish Rag Rug. She says that she is interested in: "material qualities and the inherent language that we associate with different materials and I enjoy playfully turning these elements on their head." She combines this approach with traditional craft techniques like carving in her painted lime wood and resin brooches, the process of which created coloured curls. Loving this by-product Lina was then able to use these as the material for more brooches so they are a sequence of objects with one creating the other. These wood shavings change our view on what we would expect from a brooch made from wood and (indirectly) the process of carving. Cannele Mercerised Cotton on cardboard cone her inspirational object was the material and therefore process she uses. Eleanor Bolton (who's work I knew from her being a fellow Darkroom jeweller) is her own silk moth when creating her colourful coiled pieces. Bold, interesting shapes and textures organically grow through the repetition of her processes, Eleanor says: "The yarn is the material that enables the forms to be created from the cotton braid. I am interested in using simple techniques to create unexpected forms." It looks quite chunky and solid but the round shapes are actually hollow and springy, my sister Julie met Eleanor at Great Northern Contemporary Craft last year and says "I was immediately drawn to these sculptural neck pieces by Eleanor Bolton. It's great to be able to get up close and try things on. They are light and comfortable, easy to wear." This beautiful carved wooden bust was the object chosen by Simone Brewster, a piece that's been in her family since the 60s. Simone (who is another Darkroom jeweller) states that this object from an era of "ethnic pride" and the use of a lathe in her work both contribute to her collection title "Ebony Revolution". 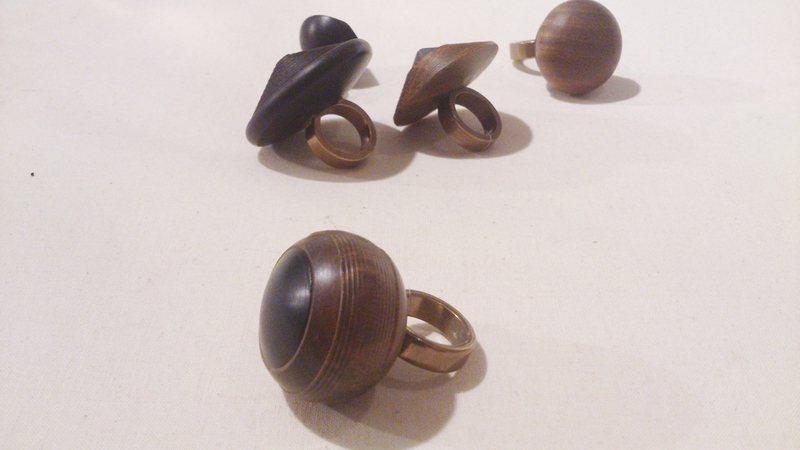 Featuring rings and necklaces of wood shaped to highlight it's natural grain patterns she says: "I wanted to use something I considered precious (wood) and treat it like you would a precious stone to reveal its beauty." 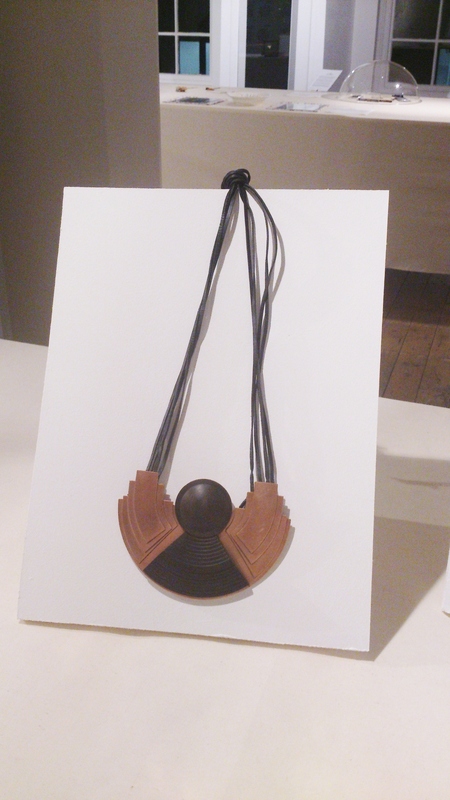 These necklaces were the favourites of my artist friend Gweni Louu who accompanied me to the exhibition. They actually look like they were made for her as she has a fantastic collection of big bold 60s jewellery in unusual materials she unearths in charity shops all over. ” I felt it was an impossible request as all my work is a synthesis of many interests and influences. Many objects and books that I have collected reflect these interests and I could have brought armfuls of monographs relating to abstraction, as well as materiality and structure." Sarah's shortlist of objects included: a series of African wooden head rests, artist Kim Lim’s folded paper pieces and the high-tech insulating foam used by NASA, Aerogel, demonstrating that although looking very simple there is a lot of careful consideration and interests that inform these pieces. I'm glad Sarah mentions how varied and deep her research runs as sometimes it is forgotten if a piece is made from non-precious materials or doesn't automatically show signs of a brush stroke or labour intensive craft technique. 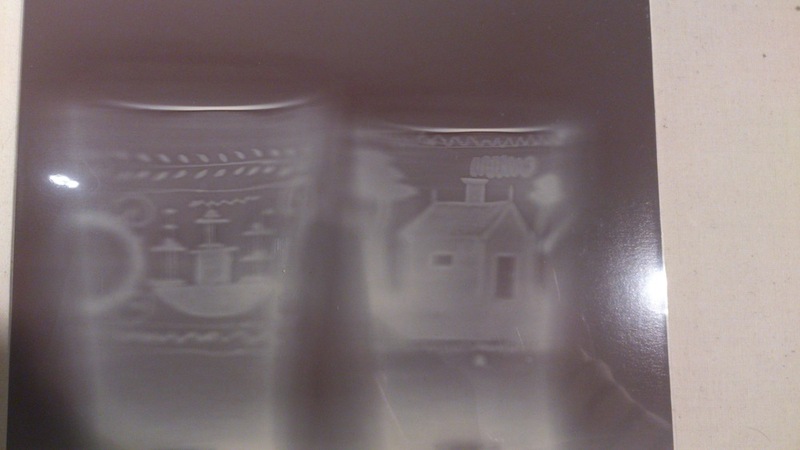 The image Sarah ended up choosing is from a photographic series that was produced when glass objects from Kettles Yard in Cambridge were placed directly on UV sensitive paper as it most embodied her strongest theme, the "combination of somewhat solid objects and the ephemeral qualities of light and the effects affects produced when the two interact." Another artist who selected photographs as their contextual object was Mah Rana. The jewellery work she had on show she had researched and made during an international research fellowship in Australia, staying in Melbourne for two months in 2004. Having first been wowed by the new environment, she soon found herself becoming accustomed of her new surroundings and no longer appreciating them. When she realised this she says: "I made the decision, to take my time each day and look at what was in front of me - and to become more present in the moment and to see more." So the photographs she took are not only a record of her time, but were also at the time a way of engaging with her surroundings in the present and noticing the small details missed when rushing from place to place. These images, along with her writing join together with the jewellery she produced to form the whole body of work, including even the name, "Little differences" a reference to a passage from a Wind-up Bird Chronicle by Haruki Murakami, the book she was reading at the time. Lili Colley's Perspex and Brass pieces lit up the room beautifully. Her main inspiration is light, the whole spectrum and ways of capturing it, revealing it and dazzling a room with it (which is what a fabulous piece of jewellery can also do). She says, "I love the flood of colour through stained glass windows. In the art deco times they celebrated it, they celebrated electricity, the light bulb and life; they lived for the moment, as they didn’t know what tomorrow brought." I can really get this sense of joy from Lili's work, shown in her choice of neon and sweetie wrapper colour scheme, gleaming brass and bold shapes. I believe that serious and important are two different things, and even though Lili's work is bright and playful the technical aspects, quality construction and depth are very important to her. "I always like to make things that have an extra dimension...more than what first meets the eye...seen only when you become more involved with the piece". During the planning the exhibition Lili also wanted her pieces to be visible from as many angles as possible. Not only to let the luscious light stream through but also so to show the gleaming brass components that not only join it together but allow it to move to refract colours and make shapes. Stephanie Bila uses geometry but it is the symmetry of the human body, skeletal structures and shells. She says: "Although the pieces are quite geometrical and symmetrical, the purpose of my project was to explore themes of evolution and metamorphosis, which created a spontaneous and organic feel to my pieces." 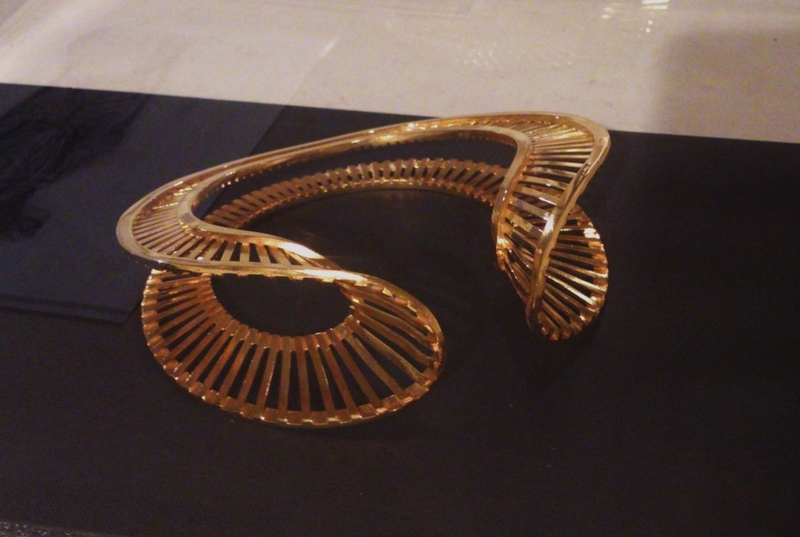 Her intricately structured designs both large scale catwalk pieces and smaller versions aim to use "jewellery as a medium to redesign and compliment the structure of the human body and to reinterpret the silhouette." "McQueen asked me to make bubbles that capture the negative space around the torso of a flamenco dancer...I was particularly drawn to her expressive hand movements, and so this bubble was a way of capturing both the space in the arch of the back, but around the hands in motion." Creating big sculptural objects that echo the shapes of bodily movement but actually restrict it by having to be held carefully or are unmissable due to their largeness Naomi says: "Impact on flesh as well as to the eye is important to me." The languid shapes and colour choice of flesh tones allude to the soft and rounded areas of the body. The leather harnesses and metal hardware also give them the appearance that they are to blend into a body and almost look like they could perform a function as some replacement organ or incubator providing comfort and nutrition. They would look completely different in any other colour, and I feel could almost have a sinister edge in a less pristine setting. However by displaying them with a massive jar of honey, the nutritious sugary sweetness rubs off on them so they seem friendlier, their soft curves appealing. Naomi herself describes them as oozing, which as a choice of words could go either way, the grotesque and disgusting or the deliciously decadent. I would love to wear one in my day to day life, filled with a dark heady treacle ready to pour all over anything (or anyone) I find bland and dry and lacking in goodness.